Taken its name from the Hebrew literature, bozez means shiny or glistening and the "Bozez" Brass Hook won’t take much time to be the much talked about part of your family as well. The classic flowery design right at the middle, end and at the beginning gives us a royal feeling and takes during the time of the kings and their knights. 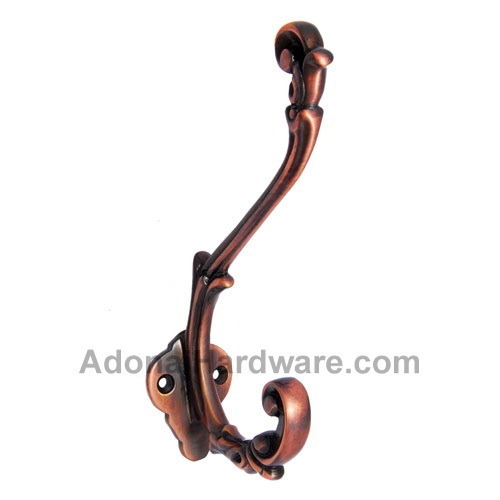 Fitted on a little plate to give a perfect hold, this hook can take any amount of load in spite of its slender design. Available in a wide variety of finishes, this piece is a must have for every cabinets and cupboards.